The ISCC invites submissions of artwork on the theme of "Celebrating COLOR"
Artists, designers, teachers, students and color enthusiasts from all over the world are eligible to submit artwork with a special focus on color. Artwork may be produced in any medium but must be submitted digitally. The Journal of Color Research and Application will publish a special edition for the Munsell Centennial. 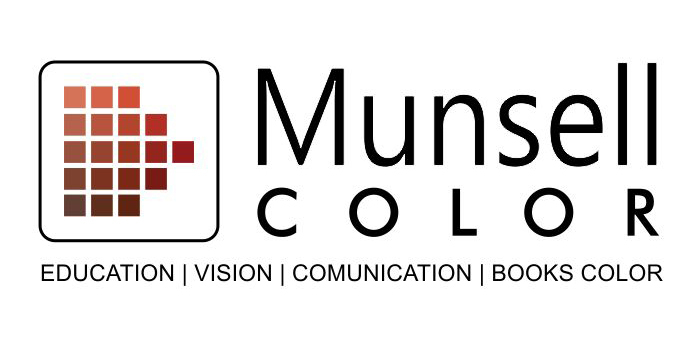 This edition will include the papers presented at the Munsell Centennial Color Symposium as well as selected entries from this Call for Artwork. Exhibit at MassArt: Prints of the artwork selected for the journal will be displayed during the Symposium. The cover of the special Munsell Centennial edition of the journal will feature the artwork of the top student award winner. Students of all ages are eligible to submit artwork. Students, please be sure to indicate your student status on the submittal form. Submittals should be in high resolution with a maximum file size of 10 MB per image. Email artwork@munsell2018.org if you have any questions about resolution or format. Entries will be displayed on the Munsell 2018 Instagram page with permission of the artist. Winning entries will be printed by the ISCC for the exhibit at the Symposium and also included in the special edition of the journal. THE CALL FOR ARTWORK IS CLOSED. 1. Upload them here (Google account required). 2. Email them to artwork@munsell2018.org. Email artwork@munsell2018.org if you have any questions. No fee is required to submit, but we ask that you consider contributing $20 toward the cost of printing the artwork to display during the Symposium. Thank you!